In May, Think Tank Photo will release their new Retrospective® 7 shoulder camera bag in three color options: Retrospective 7 Pinestone, Retrospective 7 Black, and in a new color, Retrospective 7 Blue-Slate. 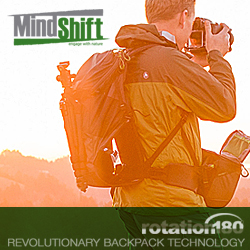 Designed for standard DSLR systems, its classic design along with modern improvements create the perfect shooter's bag. This lightweight shoulder bag comes in fabrics that offer a sense of "retro" style that appeals to many. A rear pocket has been designed to hold an iPad or an 11" MacBook Air. Ergonomically designed to conform to the body, the bags are comfortable to walk with, provide quick access, and are inconspicuous to avoid unwanted attention. With broad appeal, the Retrospective series has quickly become one of the leading bag collections in the industry. The Retrospective 7 will retail for $154.75. To be informed of when its available so you can purchase, click on this LINK. Cushioned and padded nonslip shoulder strap for all day comfort. Sound Silencers™ to turn off the front flap hook and loop for silent operation. Organizational and zippered pockets for accessories. Removable divider set for custom layouts. Convenient carrying handle for grab and go. Expandable front pocket for DSLR body or accessories. Business card slot under the front flap for identification. Also in May, you will be able to order the Retrospective 5 ($137.50 - shown), Retrospective 10 ($157.75), Retrospective 20 ($167.75), and Retrospective 30 ($187.75) in the new Blue Slate color. This is in addition to the existing black polyspun or Pinestone canvas colors. You can read our full review on the Retrospective 10 here. 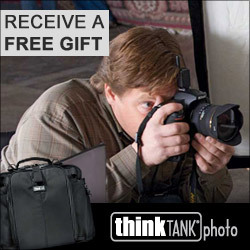 Don't forget, if you purchase your ThinkTank Photo gear from our links, you'll receive a FREE GIFT!